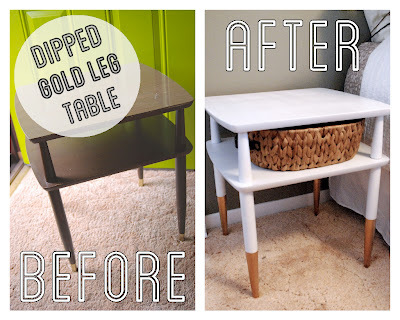 While I am busy frantically painting every room in my house I’ve asked Jess from Bright Green Door to share a fun tutorial with you guys! Hi! 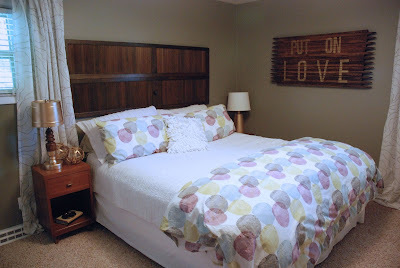 I’m Jess and I blog at BrightGreenDoor where I write about living in an oil boom town in North Dakota where I love to thrift, sew, cook and craft. I’ve learned so much from all of Allison’s awesome tutorials that today I am SO excited to share my tutorial here with you. One of my favorite current design trends is all the gold that is popping up everywhere. I love how it can be so classic and so modern at the same time. 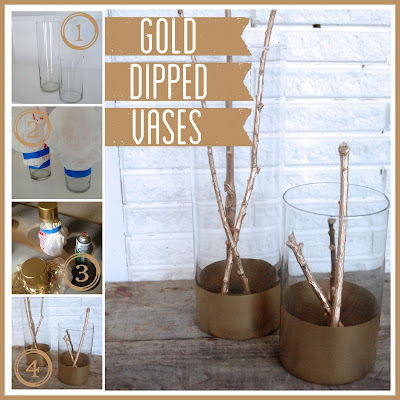 Recently I discovered something I love even more than gold… Gold Dipping! 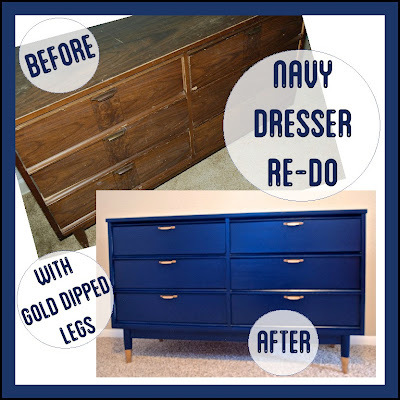 This white table and navy dresser are my two favorite gold dipped projects! 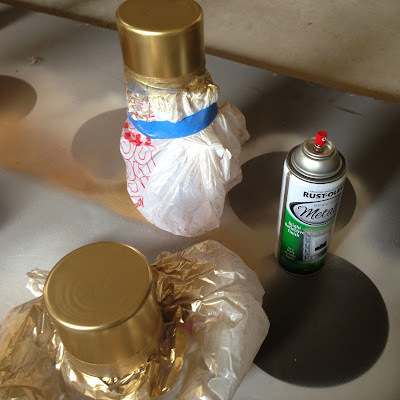 Start off with your favorite gold spray paint. 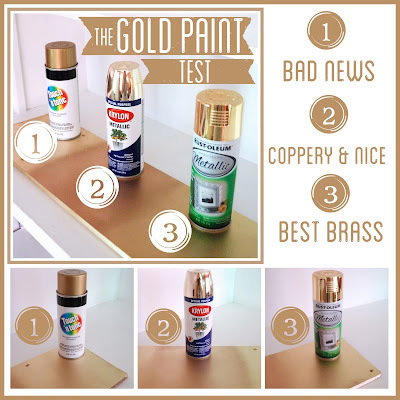 I wrote an entire post about which is the best, but the quick version is if you’re going for a coppery shine go with the Krylon, and if you want a classic brass look go with the Rustoleum. 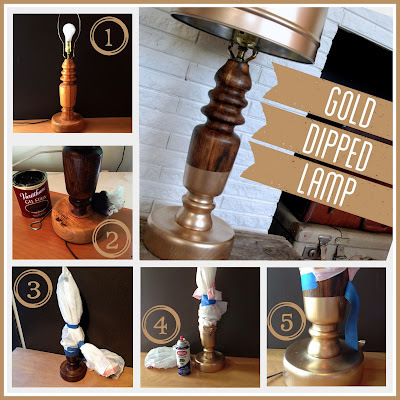 I couldn’t stop at just the vases, and decided to refinish and dip this thrift store lamp too. 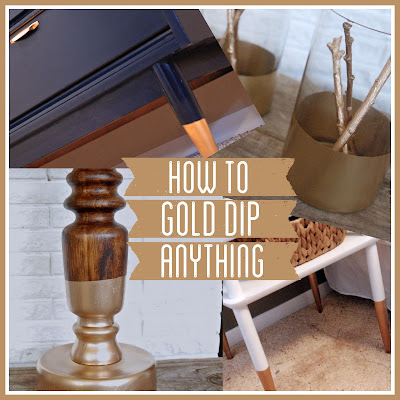 So if you haven’t jumped on the “Gold Dipping” bandwagon yet, now you know how! What are you going to dip? 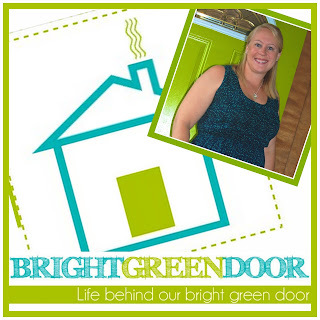 I’d love it if you’d check out my blog (Bright Green Door)! 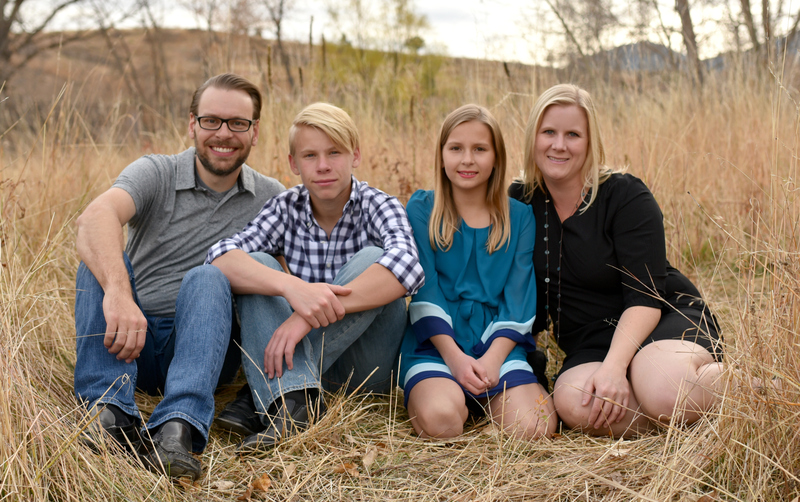 Thank you so much Allison, for letting me share today! 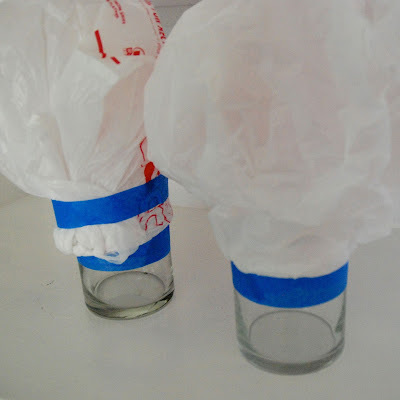 Aren’t these such fab ideas?! I LOVE this gold-dipped craze. Thanks Jess for sharing this awesome tutorial! Jess this is beautiful and easy! I love it. Thanks for the tips on which paint to use. This is a great idea!! 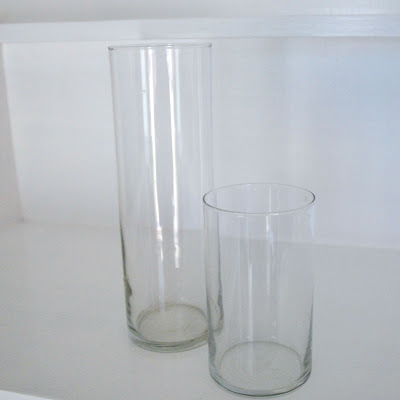 I have tons of boring glass vases so I will definitely be trying this out!! Woohoo for gold dipping! Definitely one of my new obsessions!